The Samguk Sagi, or 삼국사기 in Korean, is one of the most important ancient texts in Korean history. According to the [Ancient History Encyclopedia] (https://www.ancient.eu/Samguk_Sagi/) and the [New World Encyclopedia] (http://www.newworldencyclopedia.org/entry/Samguk_Sagi), it is a 12th-century CE text that is considered the first history of Korea. The text covers the history of Silla, Baekje (Paekche), and Goguryeo (Koguryo), the Three Kingdoms which dominated the Korean peninsula between the 1st century BCE and 7th century CE. King Injong (고려왕조 인종) of the Goguryeo kingdom ordered its compilation, and the government’s official and historian Kim Bushik (김부식) wrote it with a team of junior scholars, completing it in 1145. It was written in Classical Chinese script, which Koreans used before King Sejong the Great (세종대왕) came up with the Korean alphabet, Hangul (한글), in the mid 15th century. 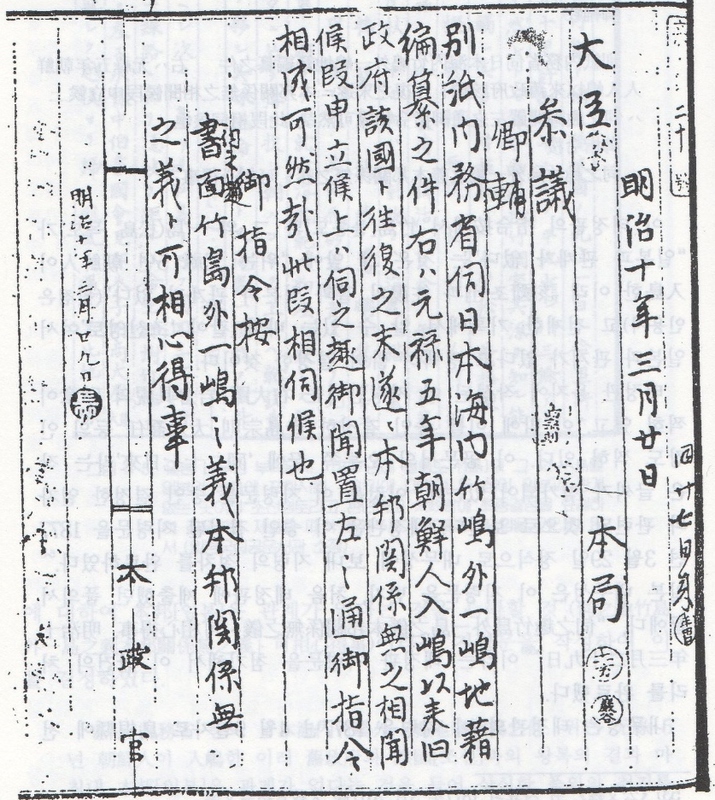 Kim and his team drew upon older sources of their time, citing some 69 Korean works and 129 Chinese works. One of the most important texts Kim and his team drew from was the now-lost Ku samguk sa (‘Old Three Kingdoms History’). Historians believe that the Samguk Sagi was written for a couple different purposes. One was to fill in the very big gap in knowledge regarding Korea’s Three Kingdom Era. Even though the three kingdoms had all produced their own histories, they were mostly lost in the continual wars, and the fall of Goguryeo and Baekje. The records were also widely dispersed. 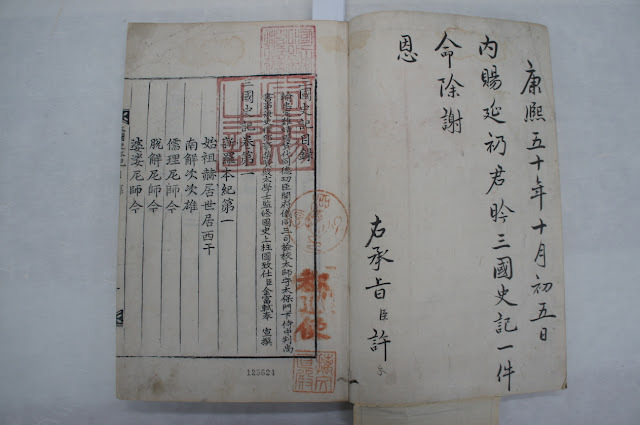 Thus, another motive of this text was to produce a history that would educate the native Korean literate in native history and provide them with Korean exemplars of Confucian virtues, instead of Chinese exemplars. While many criticize Kim for having too much of a bias towards China and a Silla-centered view of the Three Kingdoms, that still does not detract from how important his text is. He drew from hundreds of very important texts about Korea’s history that do not exist today. His work is Korea’s oldest extant historical source, and recent archaelogical evidence, in addition to Chinese and Japanese records, have proved it to be quite accurate. His work also sowed the seeds for Korean nationalism and independence, as well as the beginning stages of recognizing Korea as politically and culturally unique (and independent) from China. After all, a ruler would not commission such an extensive project regaring their kingdom’s history and past, unless they recognized it as independent and unique. This must have been a very painstaking process for Kim and his team. There wasn’t much information about the specific process Kim and his team took to create this set of records, but I’m guessing they did something quite similar to what we did in class: looking at older texts and copying– and analyzing them– all by hand onto scrolls. Keep in mind that they didn’t have the pencils and pens of today, nor even quill dipped pens. They had to use ink and brushes. It’s just amazing how beautifully it turned out, and how each character is precise and clear. I daresay it would have been even more difficult than copying Western languages like English or French, because those were able to be scrawled down, whereas the copiers for this had to use the precise brush strokes for each of the characters. They also had to have known a good amount of the characters, because each character is different, and you just have to memorize what the common ones look like. You don’t just copy down Chinese unless you really know it, and that must have meant years and years of arduous studying. I know this because I have tried to dabble in calligraphy, and the only decent looking characters were the ones I really knew, and even those looked uneven. Doing the activity in class makes me appreciate Kim and his team even more. I feel fortunate that this text survived throughout the thousands of years, and that I am able to learn about my nation’s unique past through it. I appreciate Kim for taking on this task, because even though we do not have access to the earlier texts, we can trust his records to be accurate. Although Korea has had a very tumultuous past with multiple colonizations and intrusions from other countries that have resulted in my nation being divided into North and South Korea, I am still proud of my country’s past, for we have forged our own unique identities, and have not let more mighty nations wipe us off the face of the earth. Thank you, Kim Bushik, for helping to steer my nation into the strong and successful independent nation it is today.